New sources in your feeds! We're excited to announce new and improved monitoring capabilities with an integration that will support better coverage of the Nordic sources. If you need to know what subjects are being the most discussed within your mentions, you probably use our tagging feature. If you don't, you should read how to use tags for a more efficient monitoring! Regarding the reporting, you can create custom charts with the tag segmentation to analyze the trends in your mentions and always know what the hot topics are. From now on, it is also possible to choose the tags you want to display in a report using the Displayed tags option. Consider that you monitor a car show and have a tag for each car maker and one for mentions about electric cars. You can compare the share of voice of each car maker by choosing only the associated tags in the Displayed tags. If you want to compare that to the share of voice regarding the articles about electric cars, you can filter the data by selections only the mentions with the tag electric cars in the filters tab. Read our blog post to learn more about how to use Mention to improve your influencer marketing strategy. Take Mention with you wherever you go! Most Mention users check their monitoring data from a web browser - which is great! But have you tried one of our four incredible apps? Download Mention for iOS, Android, Mac, or Windows, and you'll have access to your precious mentions and analytics no matter what. We've just given our apps a major upgrade, and we can't wait for you to use them! 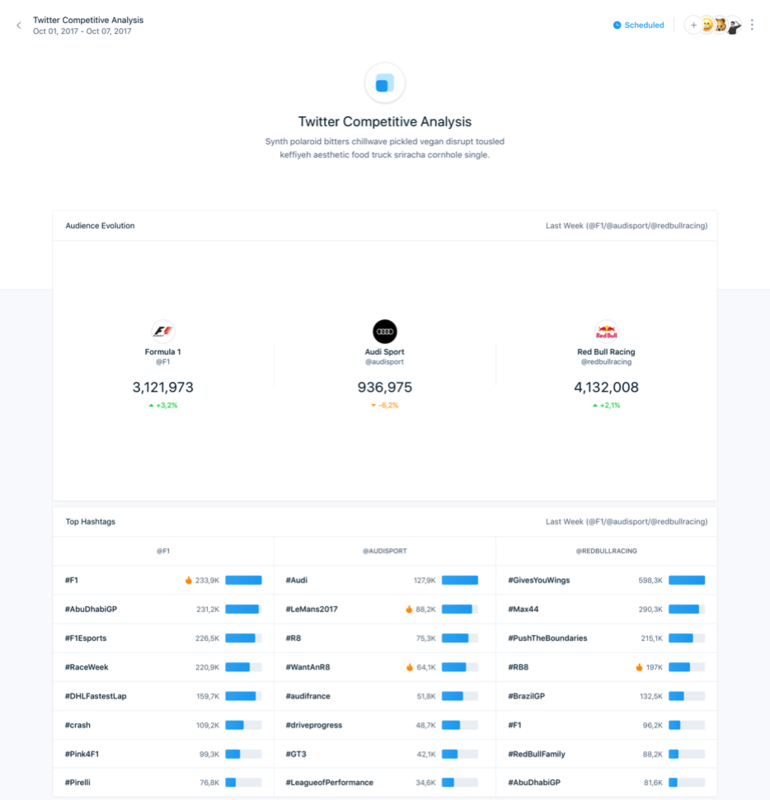 You're now able to know which of your social posts performed the best! 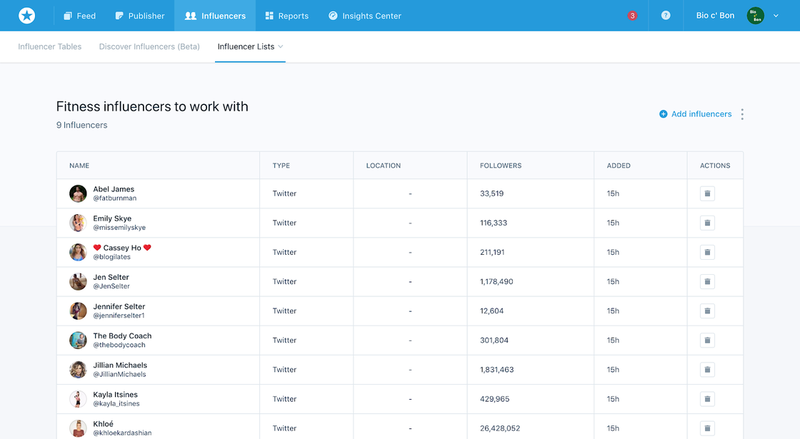 We added the ability to see your top posts by engagement in the Twitter, Instagram and Facebook reports! Let us know what you think ! Feel free to share your feedback at any time. Are you a heavy user of our tags, especially the auto-tagging feature? Or do you wish you were? Then this news is for you! 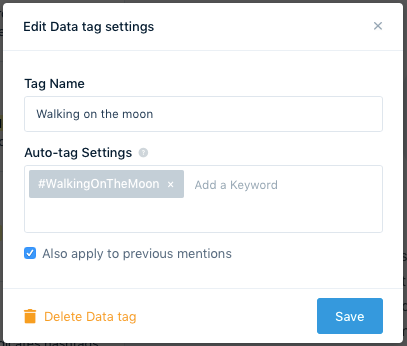 You can now use auto-tagging to label old mentions you've already collected. This helps you organize your feed and put your most valuable mentions into folders - automatically! For instance, if you have an alert about your brand and want to measure the impact of a past campaign, just create a tag and apply it to all the mentions that have the hashtag or keywords from that campaign! The goal of "Topics word clouds" is to show you the key topics being discussed alongside your brand. But when your own keywords are too prominent in a word cloud, they hide other relevant information. This is why you can now "hide" some keywords without filtering topics. Your data (the mentions you collect) aren't impacted - just the visualization! Let us know what you think! Feel free to share your feedback at any time. You can now directly export your reports into PPTX. 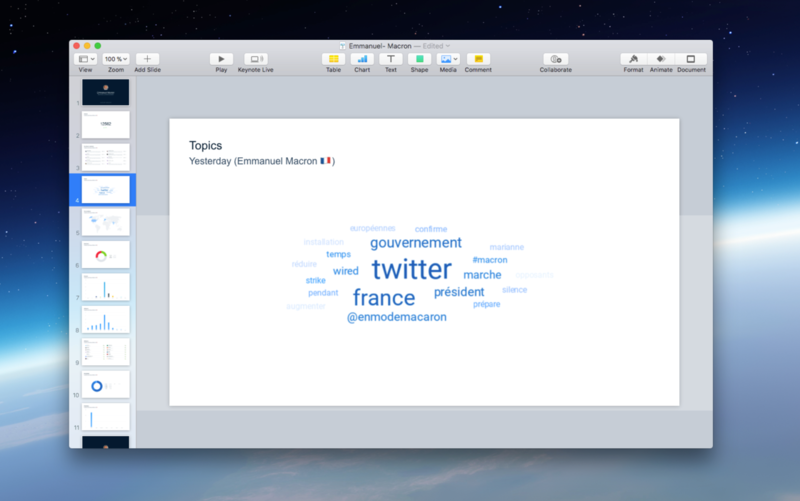 This means no more manually pasting screenshots from Mention to your presentations! Export any custom report in PPTX to have it right now, or schedule your report in PPTX format and receive it at a scheduled time. This is big news! You're now able to track your competitors' social media strategies without creating alerts! Use this to identify trending topics, top hashtags, and compare your growth to theirs! Happy monitoring! Let us know what you think! Feel free to share your feedback at any time. We heard you! You asked for more information in your graphs, so now it's possible to see the previous period's evolution in an alert's volume chart! This lets you easily see how the current period (this week or month, for example) compares with the previous one. From your Reports, or the Insights Center, simply choose "display" near the "show previous period" option. Surely Mention will start publishing changelogs very soon.